We think VoIP pricing should be simple. With InfoFloTalk you pay just $29.99 per line and get UNLIMITED extensions. No hidden costs, no gimmicks. Why per per extension when you should be paying per line? We believe in putting the customer first. This means not charging you for the tools you need to run your business. While other companies charge you more for premium features like call recording, voicemail to email and multi-site support, we give them to you for free. Having all your technology built by one vendor and available on the same platform saves you time and money. We have you covered from VoIP to CRM and from online forms to payment processing. Our products are designed to work together from the ground up. Our unrivaled technology and unique pricing model lets us pass the savings on to you. We charge less and give you much more. and it shows in our constant effort to provide better technology and better prices. Join the ranks of our 15,000 happy customers and take back control of your VoIP and your data without spending a fortune. Sure, you could work with a bigger VoIP provider, but bigger doesn’t mean better. 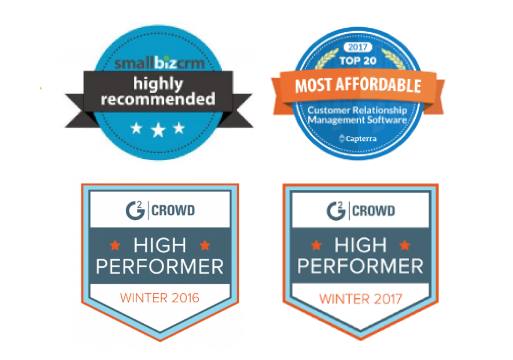 No one can match us head on when it comes to our superior technology or customer-first pricing model. Pay per line not per extension and own your data. Forever. You save money and get a better product … It’s a no brainer. Each customer is assigned their own dedicated cloud VM with a dedicated InfoFlo Talk PBX instance. This is a very unique feature as most (meaning all) other voIP providers use a multi tenant configuration where many customers are “sharing” a PBX instance. While this approach is very economical and can be optimized, nothing beats dedicated hosting. This is part of the secret as to why we can offer almost unlimited extensions. Adding an extension has zero additional costs when the PBX instance is dedicated. 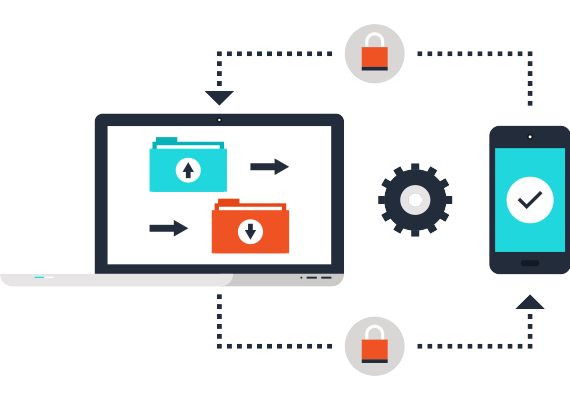 As with our flagship product, InfoFlo CRM, we are big believers that private data ownership is a RIGHT not a privilege, and should never be compromised by a hosted solution. A secured & dedicated virtual machine where the cloud simply becomes and extension of your private network ensures complete privacy and data ownership. Each one of our customers essentially becomes their own VoIP provider, completely in charge of their own VoIP phone system. Extensions can literally be added in a matter of seconds using the InfoFlo Talk administration web interface. Once the new extension is registered to an endpoint such as a VoIP phone or a mobile smartphone it can instantly accept inbound calls as well as dial out. InfoFloTalk can record all calls on all voice channels. This option is configurable per extension and can easily be turned on/off. Recordings can be downloaded and played back using our InfoFlo Talk portal. Most VoIP providers only offer this feature in their “premium” per extension packages, we just built it into our product because we realize it is a must for alot of customers. With our dedicated hosting configuration the cost of recording voice calls is zero because the storage is already available on the VM. 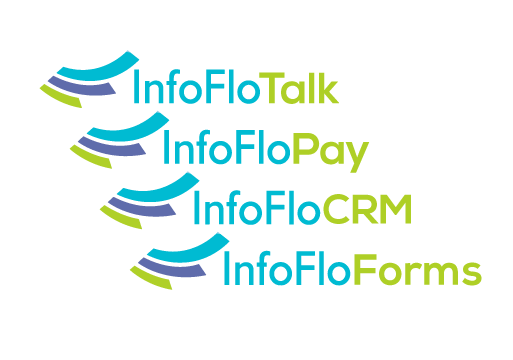 InfoFlo Talk is fully integrated into out award winning CRM software. InfoFlo CRM will fetch all call logs, call recordings & voice mails, while automatically archiving voice data from InfoFlo Talk. Additionally, all voice data will be automatically linked to CRM entities such as a contact, company, project, opportunity, etc. Voice data will also be fully searchable and permission controlled via the business rules defined in InfoFlo CRM. Out of the box advanced call center functionality at no additional cost. Built in call center features include listening in on a call, whispering to an operator during an active call and barging in on a call. 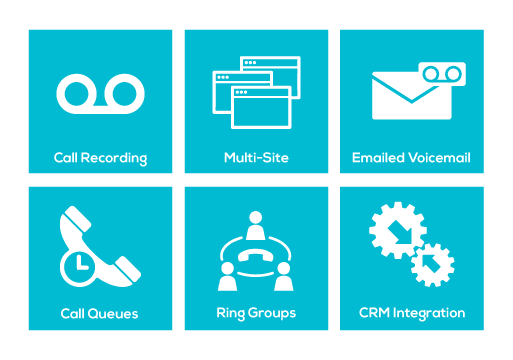 Combined with existing call queues, ring groups and automatic call recording & archiving, InfoFlo Talk can easily be an alternative to expensive call center implementations. We like making things easy. When you use InfoFlo Talk, there’s no need to buy fancy new equipment. If your existing VoIP phone supports SIP and can be configured, you’re all set. Or, you can use your mobile phone or existing computer as extensions with your favorite softphone application.